Now available on DVD. The world's best known golf coach gives great drills to improve your golf swing and game. Now available on DVD. The world's best-known golf coach gives great drills to improve your golf swing and game. 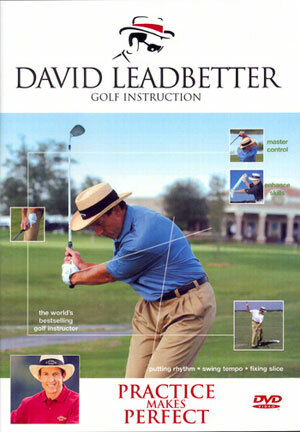 Learn from David Leadbetter without having to go to the course. These drills and practice routines can be done in your backyard or living room. In this DVD, David Leadbetter has selected his top 25 drills all of which are regularly used by the top professional players he coaches like golf greats Nick Faldo, Nick Price and Ernie Els. All the drills are simple, easy to understand and do, and require no real props or gadgets. Some of the areas covered are: fixing the slice, improve the rhythm of your putting stroke and promoting better temp and flow in your swing. Practice really does make perfect as long as it is done correctly so realize your true golfing potential today!